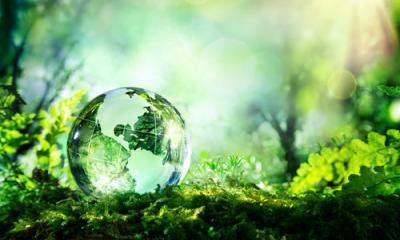 Dr Chris Garrard, speaking on behalf of BP or not BP? said: ‘This will be a hugely unpopular move and wildly out of touch with the mood across the cultural sector. 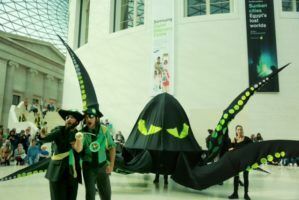 Just weeks ago, BP’s corrupting influence over these cultural institutions was exposed in a damning report, uncovering the way the company uses sponsorship to keep drilling, spilling and costing up to corrupt regimes. 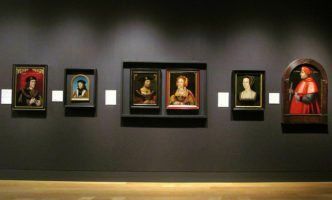 ‘To make this decision at a time when the Museums Association is considering whether its Code of Ethics has been breached shows that the commitment of these institutions to ethics and sustainability is not worth the paper it’s written on. ‘At a time when the world needs to urgently shift away from fossil fuels, the idea that these institutions will still be promoting an oil company into the 2020s is deeply irresponsible. 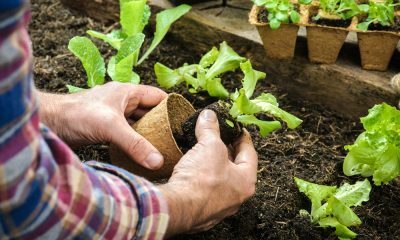 As the devastating effects of climate change become ever more apparent, this decision will look more shortsighted with every passing day. 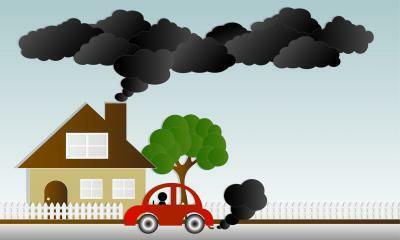 It is also a kick in the teeth to everyone dealing with the negative consequences of BP’s operations around the world. 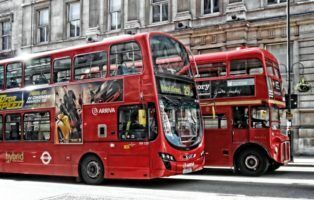 ‘In making this decision, these cultural institutions are going against the wishes of the people of London , large numbers of their own workers , and many respected cultural figures, scientists and academics. 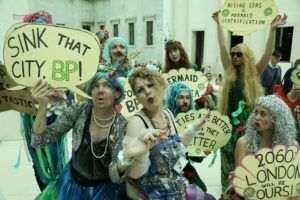 ‘BP or not BP?’ is an activist theatre troupe who have campaigned against BP’s sponsorship of arts and culture since 2012, beginning with stage-invading Shakespearean protests at the RSC and have held 18 performance protests inside the British Museum. 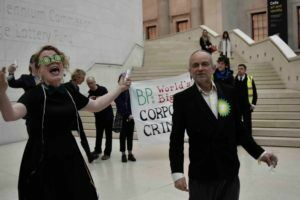 They are part of the Art Not Oil coalition, who published an extensive report into BP’s ‘corrupting influence’ over the institutions it sponsors which is currently being considered by the Museums Association’s Ethics Committee.